2008-02-11 - Visit the BMW Mountain Days! For the first time ever, the BMW Mountain days will be taking place from Thursday (public holiday/Fronleichnam), the 22nd. May till Sunday, the 25th. May 2008, in Kaprun. The Europa-Sportregion Kaprun-Zell am See lies in the middle of the province of Salzburg and is an ideal starting point for the unique, and unforgettable tours for all BMW motor bike fanatics from all our national and international neighbours. 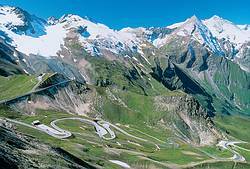 Especially the Grossglockner – with its beautiful 30 km road running through the Hohe Tauern region – catches ones eye through it’s uniqueness. The Tourism-Destination Kaprun with it’s numerous offers is easily accessible from Hungary, Czech republic, Slovenia, Croatia, Italy, Germany and Switzerland. In co-operation with BMW Austria there will be an exhibition of „The world of the BMW motor bikes“ on a stand of approx. 20.000 m² directly at the entrance to Kaprun. Around 30 exhibitors will present the newest bike trends as well as the technical and product development throughout the season: from accessories and tuning for the BMW motor bikes to special literature and international travel and trainings programs, no biker wish is left unfilled. The presentation of the exclusive BMW motorbikes, free style shows, a spectacular Enduro park and a great biker fashion show, are only some of the highlights, which will fascinate the bikers as well as the visitors of the fair ground. Together with the Oldtimer Museum in Kaprun, the historical BMW motor bikes will remind one of the longstanding tradition of the enjoyment of driving. Music, dance and tradition create the street atmosphere – Pinzgauer food is on offer. Tanz und Tradition. Socialising, hospitality and tradition are in foreground. With particular attention to detail, this „party mile“was created in a Pinzgauer style. With the help of the local committees, Kaprun and its region is presented from its most beautiful side.